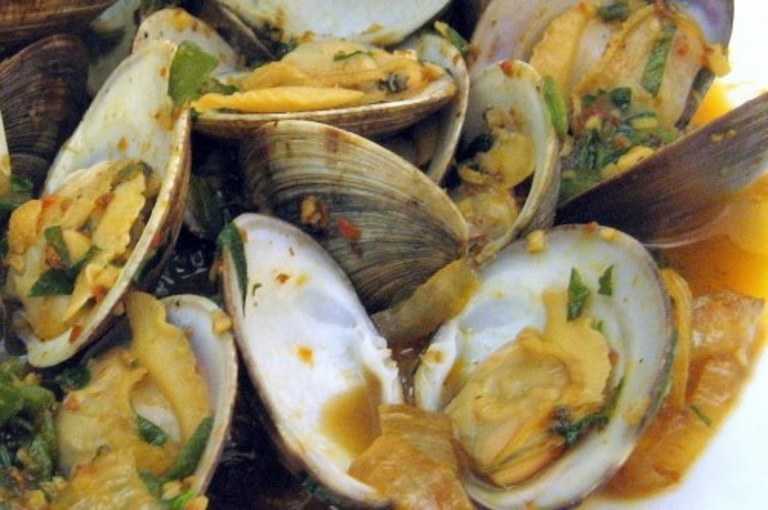 Soak clams in cold salt water for an hour in the fridge to remove sand. Drain and keep in fridge until ready to cook. Heat oil and butter in a large saucepan and fry the onions until slightly golden. Add chili, pepper flakes and garlic and toss until fragrant. Add water and clams and cover with the lid until clams open. Remove lid and add vermouth and fresh herbs. Cook over a low heat for a few more minutes to reduce the liquid. Serve immediately with some slices of fresh-baked bread.